Spring time is here…little signs of its beginnings are cropping up around us with the small buds of color rising above the specks of brown and gray white grounds. Its promising… I’m always grateful for these bits of life in bloom reminding us to embrace it as much as our own cycle of growth. With this new energy of life we do well to support opening our bodies to receive the bounty of its offerings. We can do so with choosing foods that help to cleanse and enjoying environments that revitalize us. Here are some ideas for both. 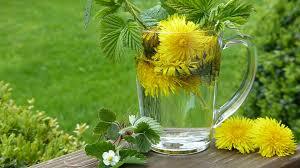 Bitter Greens: Dandelion greens and beet tops are cleansing and can balance out help purify the system. Their bitter quality help stimulate the digestive system and support blood cleansing. This brings a nice balance to what we may have enjoyed from the winter season to comfort and warm our bodies which often means more oils, fats. You might try to stir fry them with little oil or what can be called an oil and water saute. Liver and Gallbladder are the organs in need of support this season which have functioned to process toxins as cleaning agents for the body. Drinking extra water helps to keep the body hydrated. Water will help clean the liver as well. Adding liquid chlorophyll to your water can be a great way to bring more cleaning properties to the blood. Seeds like sunflower and sesame seeds sprinkled on greens are a light tasty nutty flavor. Light soups of lentils and greens paired with a bit of light miso and brown rice creates a wonderful meal. Any place can be an oasis that supports revitalization. Key elements to support this are ones that invite your senses. This can be a simple backyard deck with flowers, a place to sit and look out. Creating a meditative space by bringing your yoga mat, blanket, pillow or a nice chair that supports your relaxation. Creating a space to have your feet touch the earth and sitting upright in your chair allowing the sounds of the wind, rustle of the trees and the birds accompany your spirit. Places like mountains and rivers, the sea create the tranquility and invite the spirit to be at rest. May your opening of spring nourish the fluidity within you.